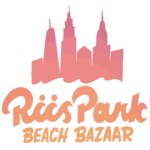 This year, Rockaway Summer will curate wellness activities and lifestyle events to Riis Park Beach Bazaar, centered around health and well-being, including beach meditation, yoga and a pop-up shop from their own HIVE market! Follow them on instagram for a peek into the beachy scenes that tap into the true vibes of a Rockaway Summer…here at Riis Park Beach Bazaar. Look for their events on our calendar in early May! Rockaway Summer is a creative collective in Rockaway Beach. Part art gallery, part publication, and part community hub, Rockaway Summer is an avenue to showcase creative talent and quality offerings in the Rockaway peninsula, serving the artistic community, Rockaway residents, and seasonal beach visitors alike.